or you can order with paypal, which includes the option to order as a guest with your credit card - paypal account not needed! Delivery Time: We guarantee that we mail the merchandise within seven working days after we received payment or after the check has cleared. Most of the time the merchandise is sent the same day or one day after we received the order. Outside US: Add $30.00 for first class mail, $50.00 for priority mail (delivery time 6 - 10 business days) or $70.00 for priority mail express (delivery time 3 - 5 business days). Important Note: Phone Number must be Included if Outside US. Be sure to add cost of shipping. Warranty: HSCTI replaces, repairs, or exchanges defective devices within two years from date of purchase, provided that the problem did not result from inappropriate use. This warranty does not include AC adapters, which are added for free. In some countries you may need your own adapter to the outlet. Customer Service: For as long as you own the equipment. Important Note: Phone Number must be Included to Ship. We use paypal to ensure a secure checkout process for our customers. You do not need a paypal account to complete your order. If you don't have a paypal account, click on the second option on checkout. The option says: "Don't have a paypal account? Pay with your debit or credit card as a paypal guest"
You can enjoy all the benefits of living water (water in its original state) that is also super charged with life energy, and all that in less than a minute. Size: ca. 4.5 x 4.5 x 1.5 in. 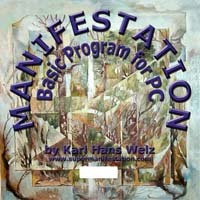 Free AC-DC converter (6V DC - USA only) - also ideal for deep meditation techniques and autogenic training. 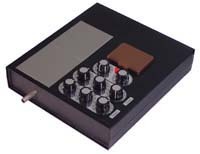 The ideal entry level device for radionics. The three dials determine the frequency. Approximately twice the power of devices of the JU 99 Series. 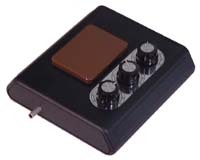 Free AC-DC converter (9V DC - USA only). Size: ca. 6.25 x 7.5 x 1.6 in. 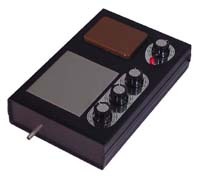 Built-in heavy duty Chi Generator® (same as in the LPOG 2400 HD). Free Transfer Couple included. The RAD 2400 HD is a Living Water Aqua Optimizer - like the AO 1100 and AO 2000, and it is a lot stronger. Free AC-DC converter (9V DC - USA only). Size: ca. 12.5 x 10.25 x 3.25 in. 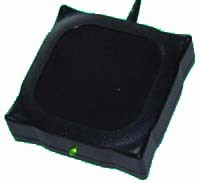 Donut-shaped Chi generator®, specifically designed for the RI 2400 CD Manifestation Program for PC. The five output pipes point to the center. Their frequency settings are radionics settings. By far the most versatile and powerful work station for trend management, treat and enhance 12 fields of life experience simultaneously or use for 12 different actions at the same time. 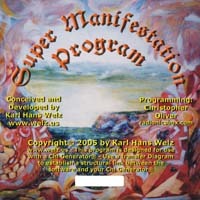 It works well with the RI 2400 CD manifestation program. 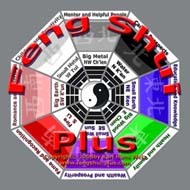 The FengShui-Plus Program - $129.00 up to 12 positions with the Feng Shui symbols and the Astrological Alphabet of Success in 5 languages. Install backgrounds such as floor plans. With sound frequencies for each position. Structural Link to your Chi Generator® or Chi-Card® included. 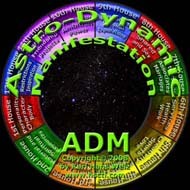 up to 12 positions - with the Astrological Alphabet of Success in 5 languages, Astrological symbols of planets, signs and houses. up to 12 positions. You can install backgrounds such as floor plans. Sound frequency for each position. Structural Link to your Chi Generator® or Chi-Card® included.